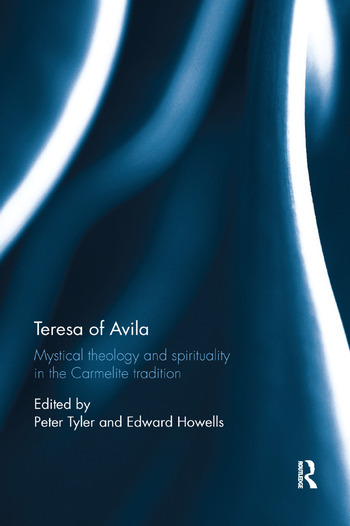 This innovative book offers an original insight into the context and times of St Teresa of Avila (1515 – 1582) as well as exploring her contemporary relevance from the perspective of some of the foremost thinkers and scholars in the Teresian field today including Professors Julia Kristeva, Rowan Williams and Bernard McGinn. As well as these academic approaches there will be chapters by friars and nuns of the Carmelite order living out the Carmelite charism in today’s world. The book addresses both theory and practice, and crosses traditional disciplinary and denominational boundaries – including medieval studies, philosophy, psychology, pastoral and systematic theology - thus demonstrating her continuing relevance in a variety of contemporary multi-disciplinary areas. Teresa of Avila: Negative Theologian? Prof. Peter Tyler is Professor of Pastoral Theology and Spirituality at St Mary’s University, Twickenham. He is also a spiritual director and registered psychotherapist. His recent publications include The Pursuit of the Soul: Psychoanalysis, Soul-Making and the Christian Tradition (T & T Clark, 2016), Teresa of Avila: Doctor of the Soul (Bloomsbury 2013), The Bloomsbury Guide to Christian Spirituality (Bloomsbury 2012, co-edited with Richard Woods) and The Return to the Mystical: Ludwig Wittgenstein, Teresa of Avila and the Christian Mystical Tradition (Continuum 2011). He has contributed much to the ongoing debate between psychology and spirituality and is Co-Editor of Vinayasadhana, a new journal for Psycho-Spiritual formation. Dr Edward Howells is Senior Lecturer in Christian Spirituality at Heythrop College, University of London. Publications include John of the Cross and Teresa of Avila: Mystical Knowing and Selfhood (Crossroad 2002); Sources of Transformation: Revitilising Christian Spirituality (Continuum 2010, co-edited with Peter Tyler); and various journal articles and book chapters on Christian spirituality and mystical theology. He is currently working on the Oxford Handbook of Mystical Theology, co-edited with Mark McIntosh (Oxford, forthcoming 2017).